Section 562.111 of the Florida Statutes states that it is illegal for a person who has not attained the age of 21 to have possession of an alcoholic beverage, including wine, beer, hard liquor, or mixed drinks. Possession can include both actual possession or constructive possession. If you are holding the alcoholic beverage in your hand or if it is contained in a bag or backpack attached to your body, then the prosecutor can allege that the actually possessed the alcoholic beverage. Although much harder to prove, if the alcoholic beverage was in a place over which you had control and you knew that the beverage was within your presence, then the prosecutor can attempt to show that you constructively possessed the alcohol. In many of these cases, the arresting officer will just issue a notice to appear in court without making a formal arrest. If you fail to appear in court on the citation then a warrant will be issued for your arrest. Even you just received a notice to appear, you should be aware that you are charged with a crime that comes with criminal penalties and can result in a criminal record. Our goal in these cases is to get the charge completely dismissed so that you can avoid a criminal record and the consequences that come with a criminal record. In some cases, law enforcement officers in Tallahassee will target college students or young people attending a concert or sporting event. The officers sometimes conduct sting operations in bars, restaurants, and night clubs. We are familiar with the tactics used in these cases and the best way to fight for an outright dismissal of the charges. We are also familiar with representing high school and college students charged with underage possession of alcohol and related charges for public intoxication, disorderly conduct, and possession of a fake I.D. We represent clients throughout Tallahassee, Leon County, and all of the surrounding counties. Under Florida law, the penalties for the possession of alcohol are classified as a second-degree misdemeanor punishable by a fine of up to $500 plus either 60 days jail or six months of probation. For a second offense, the crime can be charged as a first-degree misdemeanor. The first-degree misdemeanor version of the charge is punishable by a $1,000 fine and up to one year in jail or twelve months probation. Also, for a first conviction, you will automatically lose their driver’s license for a period of at least 6 months and up to twelve months. For a second conviction, you will automatically lose your license of a period of two (2) years. In some cases, you might qualify for a hardship license. If your license is suspended, you will also face an increase in your car insurance premiums for years to come. If you avoid the conviction because the charges are dropped, you will not face any penalties. In some cases, especially for college students to complete community service, your criminal defense attorney might be able to convince the prosecutor to just drop the charges entirely. The search of the defendant or the seizure of the beverage was without a warrant and otherwise unreasonable. If you were charged wth underage possession of alcohol because you are under the age of 21, then seek out the services of an experienced criminal defense attorney. We can help you fight the charges to avoid a criminal record and criminal penalties. We also represent college students at Florida State University (FSU) and Florida Agricultural and Mechanical University (FAMU) after a criminal charge or for a disciplinary hearing at the University. Call (850) 681-7777 to discuss your case today with an experienced criminal defense attorney at Pumphrey Law in Tallahassee, FL. 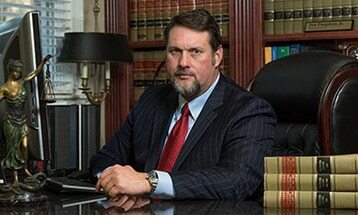 We offer free initial consultations with an attorney. This article was last updated on Friday, August 19, 2016.